Come and join RHA for an evening of music, FREE FOOD, and fun! 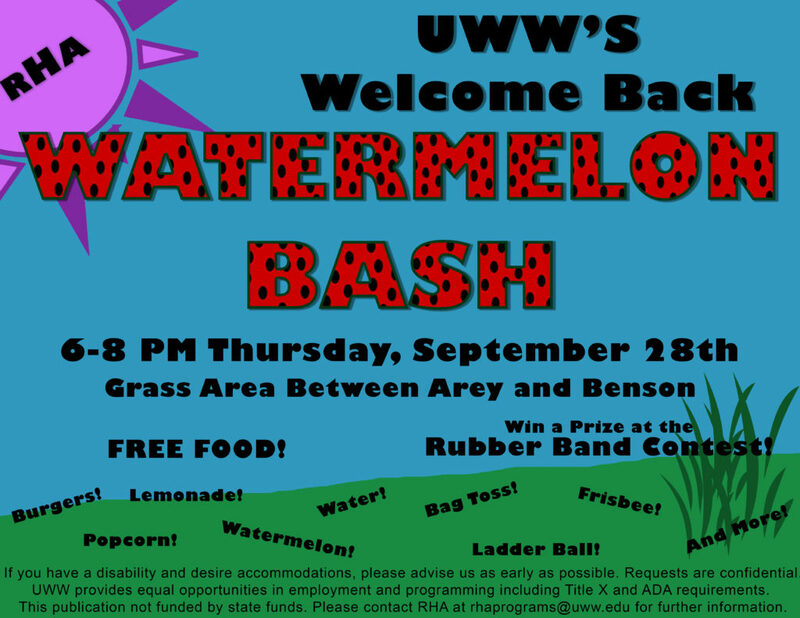 RHA will be hosting the UWW’s Welcome Back Watermelon Bash on Thursday, September 28th from 6-8 pm in the grass area by Arey and Benson. There will be games and a contest! Hope to see you there!